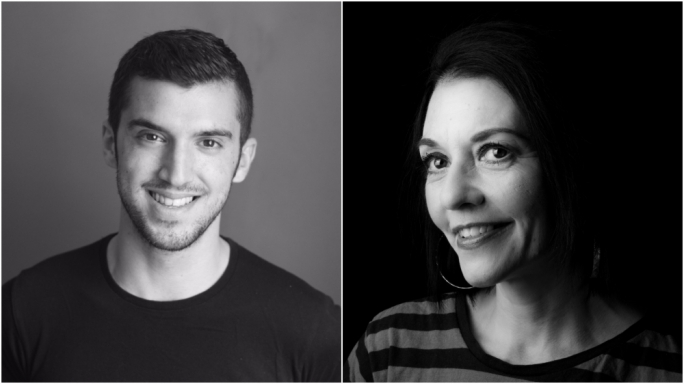 Get Your Act Together can announce that Gianni Selvaggi and Lizzie Eldridge will now be working with mentors on their proposed scripts, both of which will be based on the themes of island life and cabin fever. A first of its kind for Malta, Get Your Act Together is a two-year project spearheaded by More or Less Theatre, with the support of the Malta Arts Fund within Arts Council Malta, together with the Valletta 2018 Foundation, that commenced last March, with the aim to give two playwrights mentorship and funds to create a theatrical script in both English and Maltese. The first part of the project saw hopefuls attend a full-day workshop in either Malta or Gozo addressed by Italian actor and director Domenico Castaldo – who specialises in actor-training, Spanish math educator Eduardo Sáenz de Cabezón – who has given Ted Talks on combining science with humour and stories, French anthropologist Dr Elise Billard – a visiting lecturer in Material Culture at the University of Malta, and actor, director and playwright Malcolm Galea, who is also a co-producer of the project. Applicants were then asked to submit their script ideas. The finalists – Gianni Selvaggi with a monologue dealing with cancer in men, addiction and mental health, and Lizzie Eldridge, with a script about common space and conflict between island communities and urbanisation, suicide and sexual abuse – were chosen by Castaldo and Sáenz de Cabezón, with the help of the Malta Chamber of Scientists and Science in the City festival team. Both playwrights will now begin work with their respective tutors (either Castaldo or Sáenz de Cabezón) in person, as well as through correspondence, to have a first draft completed for Science in the City 2017 in September. The scripts will then be refined according to feedback received from critics and audiences, with the final version staged at Science in the City 2018 before a national tour to 10 different locations around Malta and Gozo. As part of the project, both playwrights will have all expenses related to the creation, staging, mentorship and logistics of the piece funded by the Get Your Act Together project.